Gently rub the wrap or gift tags to release the sweet holiday scent of chocolate. 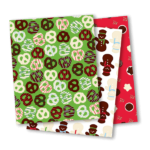 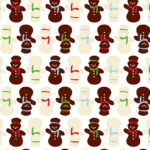 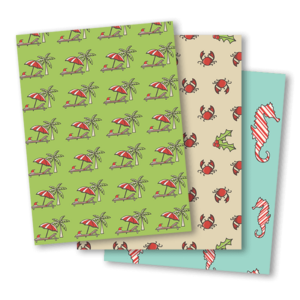 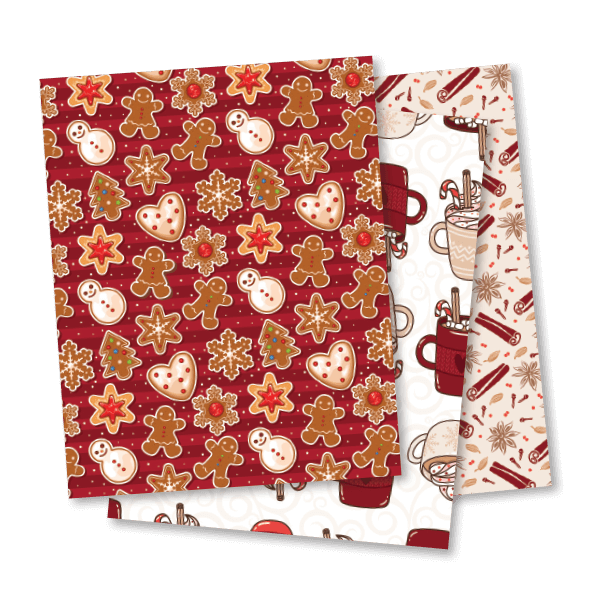 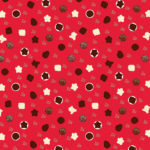 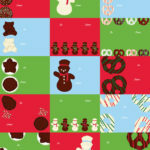 Each 12-page pack includes four sheets each of three chocolate-themed designs, and one sheet of 15 gift tags. 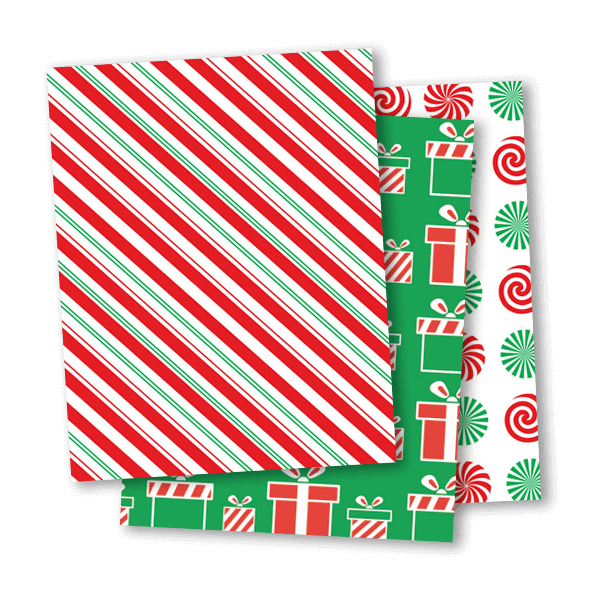 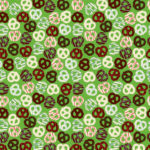 Each sheet of wrap is 22” x 28”.